Serial killers always make the headlines. It seems we have an unlimited hankering for learning about their murderous exploits in all the gruesome, gory details. However, given the sheer volume of stories involving serial killers, it is possible that, occasionally, a few juicy tidbits might slip through the cracks. Paul John Knowles murdered anywhere between 18 and 35 women. He was killed in 1974 while in custody after attempting to grab the handgun off the sheriff escorting him. At least one woman who met Knowles described him as “ruggedly handsome,” hence the name Casanova Killer. There was another woman in Knowles’ life who also survived her encounter, thanks to the warning of a psychic. Her name was Angela Covic. A recent California divorcee, she started corresponding with Knowles during the early 1970s while he was in prison for lesser convictions. Thinking she had found her dream man, Covic used her money to provide legal counsel for Knowles, and in May 1974, secured his release on parole. Out of Florida State Prison in Raiford, Knowles flew to San Francisco to meet his bride-to-be. In the meantime, however, Covic had consulted with a psychic who warned her of a new, dangerous man entering her life. She soon broke off the engagement after meeting Knowles in person. The Casanova Killer later claimed the rejection made him so angry he went out and killed three people that night, although this has not been verified. 9Mystic Healer or Serial Killer? There is a subgroup of serial killers attracted to the medical industry. One supposed healer has killed at least 16 people, yet remains almost unheard of outside of his native China. His name is Hu Wanlin. He is a mystic healer who believes water is the cause of all illnesses and uses severe dehydration as a treatment. People’s strong belief in traditional medicine, especially in rural China, ensured that Hu became a wealthy and well-respected figure, even while he was killing his patients. Hu was allowed to start his practice while already in jail for killing a businessman. Thirteen people had died under his care before his “healing” operation was stopped in 1996. 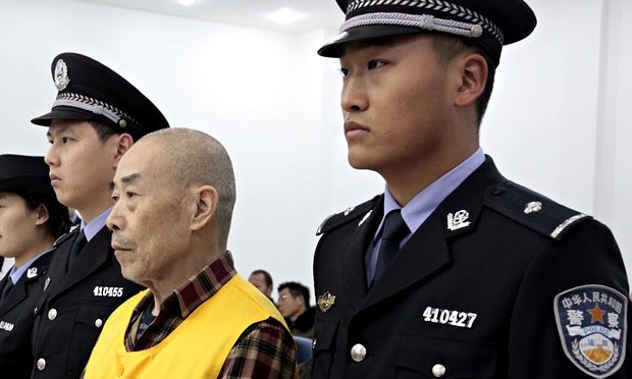 Chinese police had difficulty establishing that Hu was intentionally killing his patients. Therefore, Hu was released in 2000. He immediately resumed his activities and killed three more people. He was sentenced to 15 years in jail for practicing medicine illegally. For some reason, Hu was released early, and in 2014, started a new healing retreat. Among his first new group of patients, a young college student died after taking a dehydrating substance provided by Hu. John William Cooper is an English serial killer who gained his first 15 minutes of fame decades before being exposed as a murdering psychopath—all thanks to a TV appearance on a popular British game show. 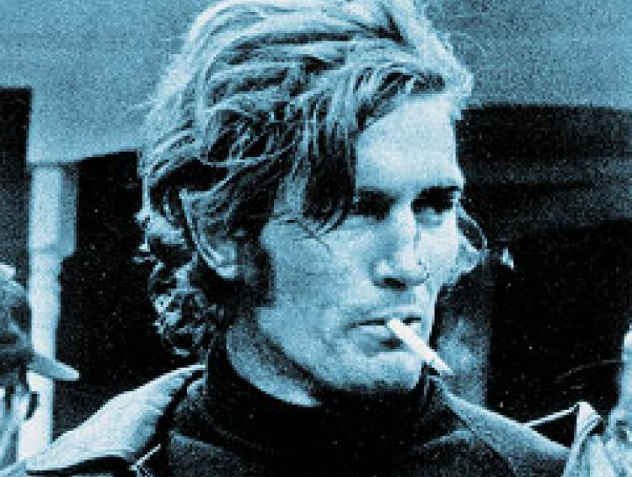 In that regard, he is very similar to American killer Rodney Alcala who appeared on The Dating Game during the 1970s in the middle of his murder spree. 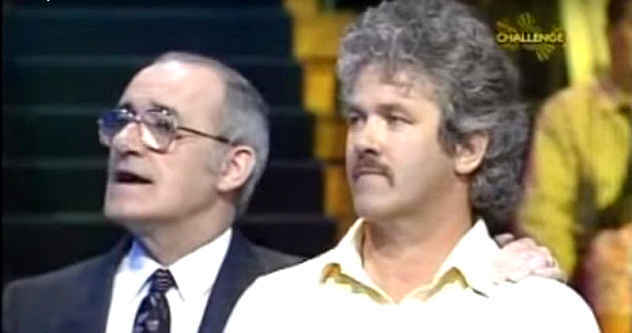 The show in question was called “Bullseye,” a program that combined a quiz show with a darts game. Cooper’s episode aired on May 28, 1989, four years after murdering brother and sister, Richard and Helen Thomas, inside their farmhouse in Scoveston Park. A month after his “Bullseye” appearance, Cooper killed Peter and Gwenda Dixon who were holidaying in Pembrokeshire. After robbing them, he shot them point blank with a shotgun. Cooper was arrested in 1998 and sentenced to 14 years in prison for multiple robberies and burglaries. Following his release in January 2009, advances in technology had allowed investigators to connect him to the four unsolved murders. Cooper was arrested again a few months later after police matched his shotgun to the murder weapon. During his trial, Cooper’s appearance on “Bullseye” was used as evidence, showing that he resembled the sketch of a man seen near the second crime scene. He was sentenced to life in prison. It has often been said that serial killers have an obsession with law enforcement due to the allure of authority. That was the case for Kenneth Bianchi, one of the Hillside Stranglers. He took courses in psychology and police science at his local community college but dropped out before graduating. His application to the sheriff’s department rejected, Bianchi worked as a security guard, but often switched places of employment due to his poor work ethic and stealing habit. Bianchi’s life changed when he moved to Los Angeles with his older cousin, Angelo Buono. The two began working as pimps, but their plan to score a big list of clients backfired when they were ripped off by a prostitute named Deborah Noble. The enraged duo could not get revenge on Noble as she had successfully disappeared. Instead, they targeted her friend, Yolanda Washington, who became the first known victim of the Hillside Stranglers. The killings did not dissuade Bianchi from his law enforcement ambitions. In the midst of his crimes, Bianchi successfully enrolled in a ride-along program with the LAPD. 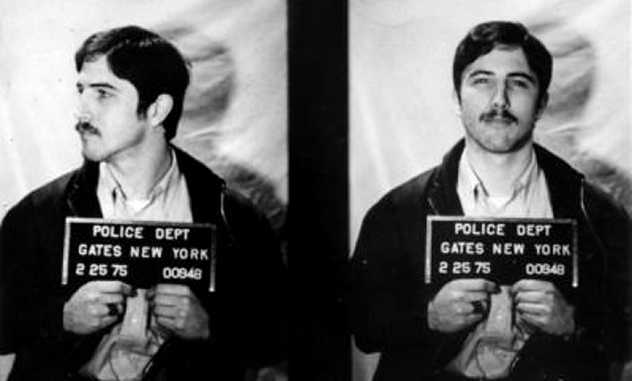 He often talked about the Hillside Strangler case, trying to help the police solve it. When Buono found out, he flew into a rage and ordered Bianchi to leave the city otherwise he would kill him. Peter Tobin is a Scottish serial killer currently serving life in jail for the rapes and murders of three women between 1991 and 2006. However, given that Tobin was already in his mid-40s when he killed his first known victim, police strongly suspected he was responsible for other killings. They started Operation Anagram, looking into Tobin’s past for potential victims going as far back as the 60s. The investigation uncovered several possible connections with one of Scotland’s most notorious killers, the unidentified Bible John. Bible John killed three women between 1968 and 1969 after meeting them at the Barrowland Ballroom in Glasgow. The sister of one of the victims said the killer characterized himself as deeply religious and quoted Bible passages, hence the name. Tobin lived in Glasgow in the late 60s, and according to his first wife, frequented the Barrowland Ballroom. The two moved away in 1969, around the time Bible John stopped killing. There were similarities between the young Tobin and the sketch of Bible John, and Tobin also was deeply religious. After the case had been featured on Crimewatch, numerous women came forward, claiming they had been approached, threatened, and in at least one case, raped by Tobin at the Barrowland Ballroom. 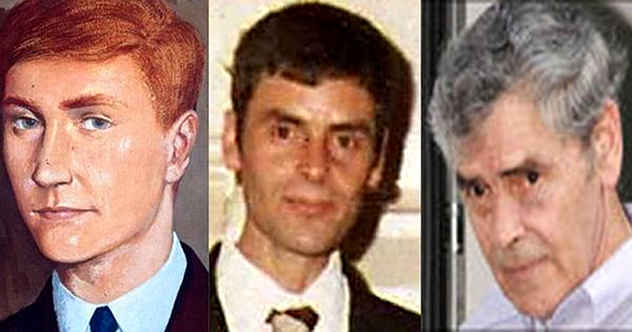 In the minds of many, there is little doubt Peter Tobin was Bible John. Unfortunately, due to improper storage, DNA samples from the Bible John case had deteriorated to the point where successful testing was no longer possible, so the suspicions against Peter Tobin cannot be proved. At first glance, Fox Hollow Farm in Hamilton County, Indiana seemed like an idyllic place to live. It was the original home of a local businessman and featured a large farmhouse as well as a spare apartment. When Rob and Vicky Graves purchased the property, they knew it was “too good to be true.” They still went through with the sale, even after the realtor disclosed that Fox Hollow Farm used to belong to alleged serial killer Herb Baumeister. Baumeister is only an alleged killer because he committed suicide before being brought to trial and never confessed to any wrongdoing. However, police were investigating him for the murders of up to 20 men, including 11 who were found buried in his backyard. His guilt is hardly in doubt. It was not long before the Graves started experiencing alleged paranormal phenomena. So did Joe Le Blanc, Rob’s co-worker who moved into the spare apartment. These included seeing people that were not there, hearing strange noises, knocking at doors, and on one occasion, Joe believed something tried to pull him under in the pool. The Graves became convinced the farm was haunted. Many others shared this belief. 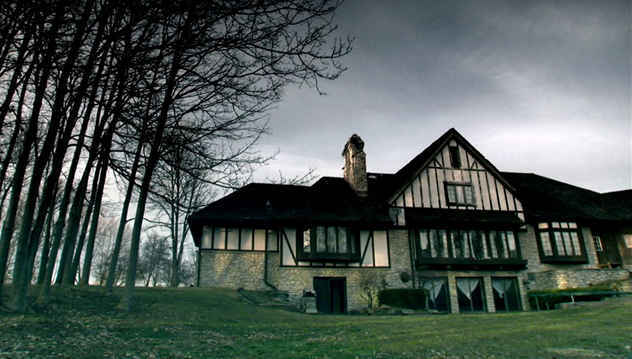 Over the past five years, Fox Hollow Farm has been featured on paranormal TV shows “Ghost Hunters” and “Paranormal Witness,” as well as the subject of a documentary exploring the haunting of Herb Baumeister’s former killing grounds. 4Was Jack the Ripper Actually a Jill? Professional criminologists and amateur sleuths have written countless books about Jack the Ripper, many of them giving their opinions regarding the identity of Saucy Jack. These range from the plausible to the ridiculous. Somewhere in between is the idea that the killer might have been a woman. Supporters argued that the killer could have pretended to be a midwife. That way, it wouldn’t have aroused suspicions if she was seen at odd hours of the night covered in blood. There have been a few suspects put forward as candidates for Jill the Ripper. Constance Kent initially shocked Victorian England in 1860 when she killed her little brother. She spent 20 years in jail and was released a few years before Jack’s killings started, but records show that she immigrated to Australia in 1886. 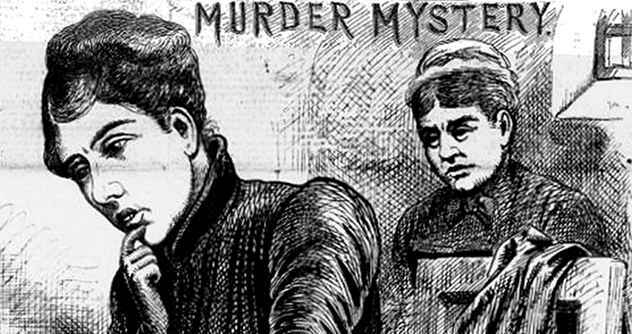 Mary Pearcey, a woman convicted of two murders in 1890, was suggested as a suspect due to the gruesomeness of her killings. Lizzie Halliday was an Irish woman who killed up to four husbands, a stepson, and two women, mutilating two of the bodies. Although Halliday moved to the United States when she was young, some Ripperologists point out that she vanished in the early 1880s and resurfaced in Philadelphia during the winter of 1888, shortly after Jack’s last known victim. While institutionalized, one newspaper reported that Halliday often talked about the Whitechapel murders and the local sheriff declared there was no doubt over her involvement in the killings. In 2004, Italian police arrested Andrea Volpe for killing his ex-girlfriend by shooting, then burying her alive. Red flags were immediately raised as other people in Volpe’s life had disappeared mysteriously. 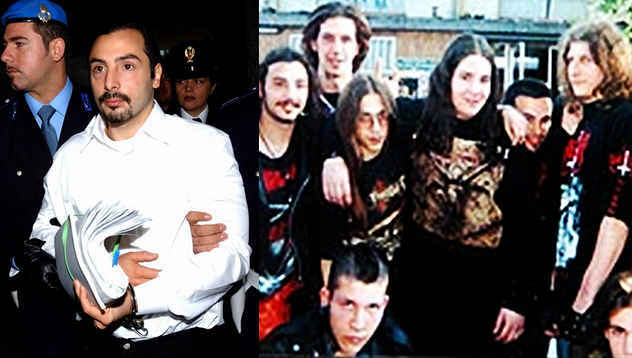 Back in 1998, Volpe was in a death metal band called the “Beasts of Satan.” All the members and their friends were devotees of Satanism and several expressed fascination with murder and the occult. One of the band members, 16-year-old Fabio Tollis, vanished in January alongside his girlfriend, Chiara Marino. Their friends and the police believed they ran away together, but Volpe’s arrest opened a new avenue of investigation. Eventually, he confessed that Tollis and Marino were murdered by the “Beasts of Satan.” Taken into the woods, they were beaten and then stabbed in a ritualistic manner. Police and prosecution had the difficult task of establishing exactly how many people were involved in the murders and the extent of their involvement. Initially, only ringleader Volpe and accomplice Pietro Guerrieri were sentenced to 30 and 16 years, respectively, after confessing to the crimes. Five more members of what has been described as a satanic sect were subsequently charged. The Servant Girl Annihilator was active in Austin, Texas, between 1884 and 1885. He targeted mostly women, killing eight people and wounding several others. The mutilation of the bodies, as well as the killing spree ending a couple of years before the one in Whitechapel began, has led some people to suggest that the same murderer moved to London and became Jack the Ripper. One modern investigation not only challenges that assertion but claims to provide substantial evidence towards the actual identity of the Servant Girl Annihilator. The PBS show “History Detectives” investigated the case in 2014 and pointed to a 19-year-old black cook named Nathan Elgin. For starters, we know Elgin was a violent man. He was gunned down by police after assaulting a woman in a saloon and resisting arrest. The killings stopped after Elgin died. The smoking gun, however, came when the autopsy revealed Elgin had a missing pinky toe. This matched footprints left at some of the crime scenes. While nothing is conclusive, circumstantial evidence strongly indicates that Nathan Elgin could have been the Servant Girl Annihilator. 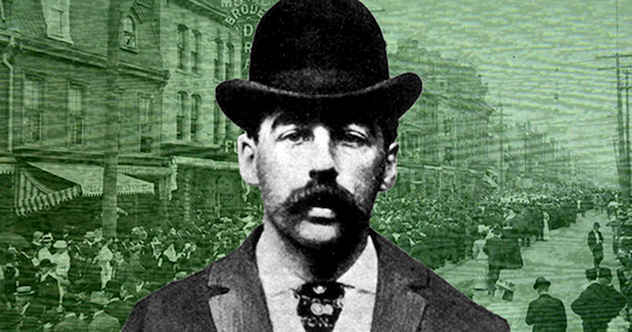 Marion Hedgepeth was an outlaw noted for his handsome features which earned him monikers such as the Debonair Bandit. Good looks aside, Hedgepeth was also a dangerous gunslinger who participated in many robberies, mainly with the Slye-Wilson Gang. Eventually, Hedgepeth was captured by Pinkertons in 1892 and sentenced to 25 years in jail. While in prison, he met a man named H.M. Howard. Howard was soon released on bail, but not before sharing with Hedgepeth a scheme to con an insurance company out of $10,000 by faking someone’s death. Howard promised the cowboy a $500 commission in exchange for the name of a lawyer who would get in on the scheme. Hedgepeth recommended Jeptha Howe. H.M. Howard was the alias of H.H. Holmes. Eventually, Holmes pulled off the scam with the help of Howe and the man who played the victim, Benjamin Pitezel. The only difference to his original plan was that Holmes did kill Pitezel and later killed his children, too. Murder aside, the insurance company paid up, and everybody got their share except Hedgepeth. Unsurprisingly, Holmes never got in touch with him to give him his promised $500. In exchange, Hedgepeth sent a letter to the police warning them of Holmes’ scheme. This put detective Frank Geyer on his trail who, eventually, uncovered the horrors that took place at the Murder Castle.